Russian President Vladimir Putin has called on the EU to halt its sanctions imposed on Moscow over the situation in Ukraine. “They are harmful for everyone, those who put them in place and those who are targeted,” he added. “Everybody has an interest in getting the sanctions lifted, us too,” Putin added. The EU accuses Russia of violating EU-brokered peace deals, known as Minsk agreements, in eastern Ukraine, where there has been an armed conflict between the ethnic Russian-speaking population and the Ukrainian government since 2014. The conflict first erupted in eastern Ukraine after people in the Black Sea peninsula of Crimea voted for unification with Russia in March 2014. The West brands the unification as annexation of the territory by Russia. They also accuse Russia of having a major hand in the armed conflict that erupted shortly afterwards in eastern Ukraine. Moscow denies all those allegations. 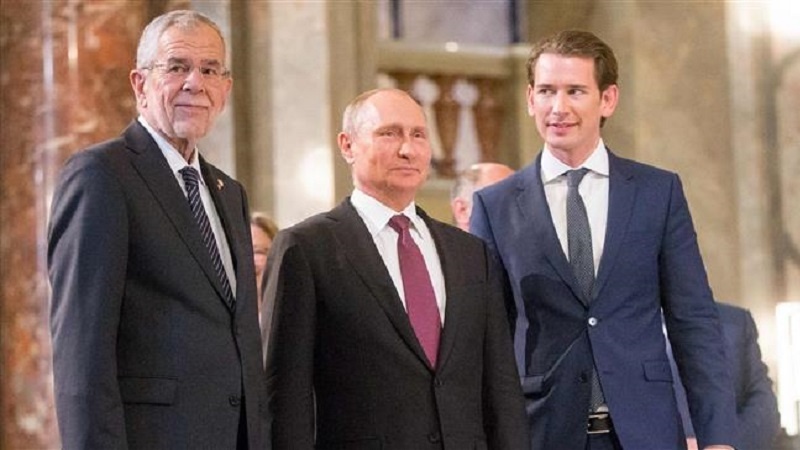 Putin also net with Austrian Chancellor Sebastian Kurz who called for further dialogue with Moscow. “We have continued our cooperation even during difficult times,” said Kurz. “To go forward together one with the other is better than one against the other,” he added.